Enjoy Paris like the locals do. Each year, millions of tourists flock to Paris to enjoy a warm baguette and a stroll down The Seine. 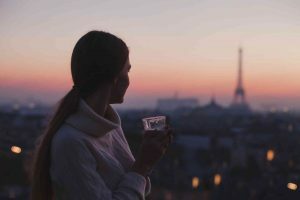 Tourism is a major source of income for the City of Light, and it continues to rank as one of the world’s most visited places. Whether you’re visiting Paris for the first or fifth time, it helps to go prepared. Discover how to enjoy the city like a local! Whenever you travel to a new country or city, it’s considered a sign of respect to speak the native language. If you don’t know French, consider learning a few words or phrases before your trip. Free apps like Duolingo help users gain foreign language pronunciation and vocabulary skills necessary for traveling abroad. New York City and Paris have one important thing in common: fashion. Street fashion isn’t just an option in Paris; it’s a way of life. If you want to blend in with the locals, consider wearing your best attire. Peruse photographs of the autumn/winter 2018 fashion week shows, but don’t be afraid to incorporate your personal style. The locals may be fashionable, but they still tend to travel everywhere by foot. Paris is a walkable city, and walking is a convenient way to get around. Often the most interesting and charming aspects of Paris aren’t listed on the map, but you can come across them when you explore. Whether you spend two weeks or two days in Paris, it’s important to take your time. Pick the sights that you want to see, and spend the day committed to those locations. Don’t rush through the Louvre just because you also want to see the Notre Dame before sundown. Ensure that you have enough time to enjoy a coffee at a local cafe, and to explore the small parks in the nearby neighborhoods. This entry was posted on Wednesday, March 28th, 2018	at 10:53 am	. You can follow any responses to this entry through the RSS 2.0	feed. Both comments and pings are currently closed.